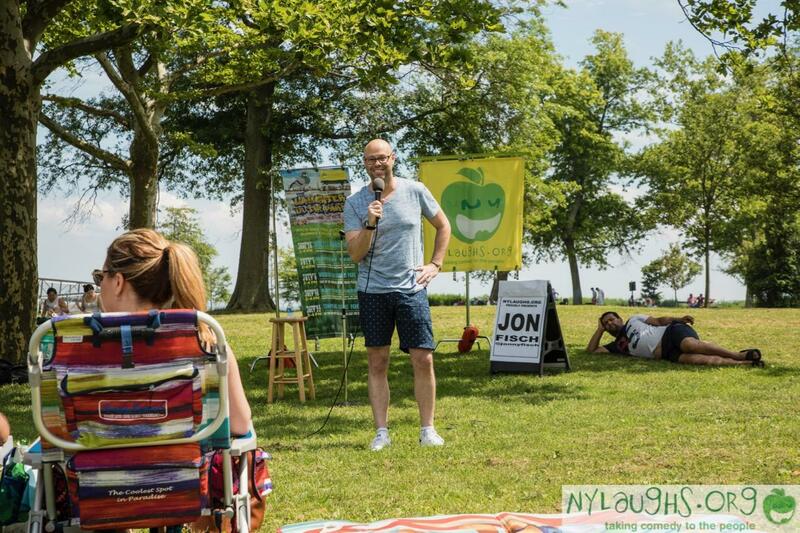 NY Laughs is currently the only body committed to the support and development of free live comedy events in and around the public spaces of New York City to build community and foster a healthier, happier world. NY Laughs also works to deepen an appreciation of this unique NY cultural asset. You could play a pivotal role in supporting this institution in the stand-up capital of the world. There are any number of ways in which you may choose to support NY Laughs. From a direct contribution, to the provision of services or discounts to our organization, its performers and its audience. Any assistance will be gratefully appreciated and broadly acknowledged via our website and through our live events. It should make you smile to know that you've helped to make multitudes of New Yorkers laugh...and it might even help your business! Don't think that just because you don't represent a big corporation or talent agency that we're not interested in using your capable helping hands. NY Laughs is always interested in hearing from anyone who'd like to join in the fun. Maybe you're a photographer, audio engineer or entertainer who could contribute their services for a performance. Maybe you have experience in publicity and media relations and you can help NY Laughs behind the scenes. It could just be that you're a sweet and wonderful human being that loves a good laugh and thinks sharing joy is a worthwhile pursuit. Whatever you have to offer we'd love to talk. Drop us a line here and we'll find a way to make good use of your special talents - whatever they may be. As much as we'd like to trade in our best knock knock jokes for cold hard cash, we're not so sure the banks will oblige. Unfortunately, it seems the organization and promotion of free comedy events in public spaces cost significantly more than the laughter they produce. Performance permits, promotion, staging and signage all eat into our small budget as a non profit. Not to mention the costs of design and web hosting, without which our message would remain mute. This is where you come in. You see what NY Laughs lacks in cash reserves we more than make up for with enthusiasm and an audience in a really good mood. Not just any audience either. 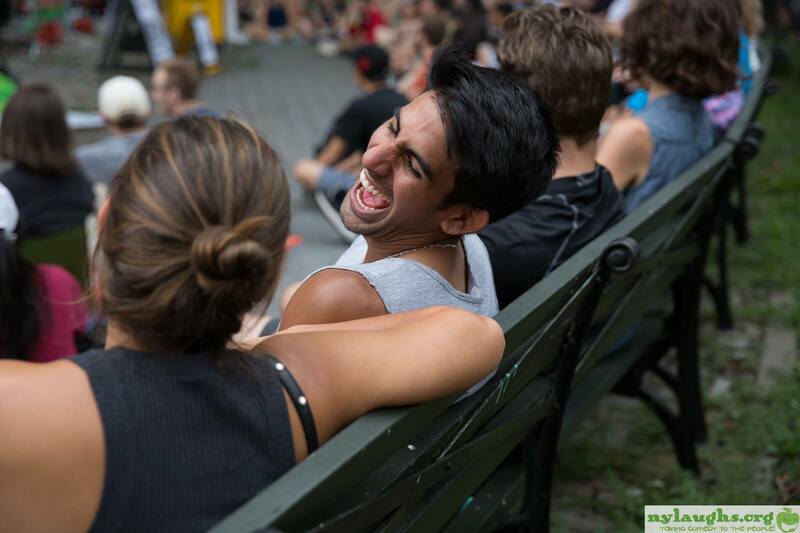 NY Laughs events held in locations such as Central Park reach out directly to the savvy and much sought after 21-35 age demographic. Through support of this organization you can speak directly to this audience on a regular basis and demonstrate a deep interest in the local community. Your contribution can range from a "one-off" donation to assist in the funding of a single event, to the longer-term provision of goods or services required to continue running NY Laughs. We'd even be happy to accommodate a long-term financial association, with accompanying promotional rights. Whatever the contribution, we can negotiate a satisfactory acknowledgment of your valued support. Don't miss this opportunity to become involved in what is a beloved Summer staple on the city's cultural calendar. If you'd like to get involved please contact us via email at thelaughingapple@nylaughs.org. NY Laughs is a 501(c)(3) non-profit performing arts organization. As a result, any donation is tax deductible to the fullest extent allowed by law. With an all-volunteer staff, 100% of your donations are put directly toward programming. Our shows have been critically acclaimed and we have won numerous grants from the New York City Department of Cultural Affairs and the New York State Council on the Arts via the Lower Manhattan Cultural Council, the New York City Council, Washington Square Park Conservancy, Partnership for Parks and more!